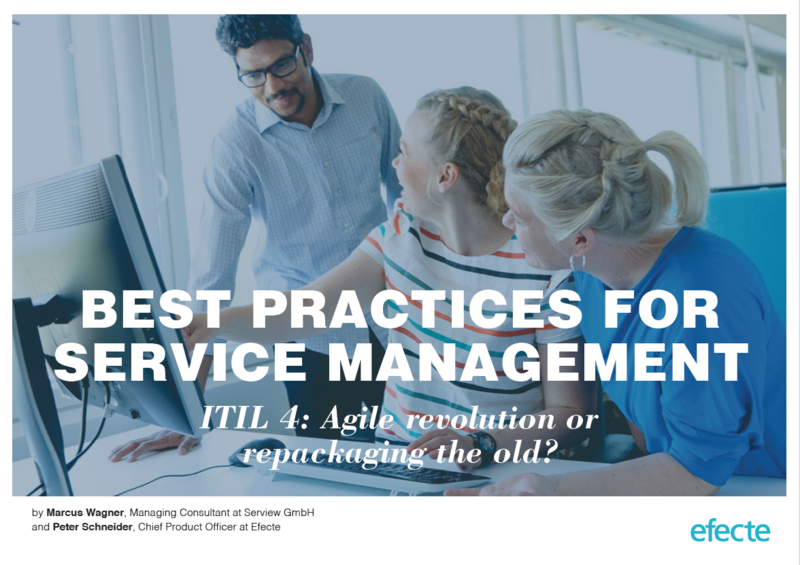 Efecte White Paper Download: ITIL 4 - agile revolution or repackaging the old? support in the digitization of service processes. But what are the differences to ITIL V3 and what is the added value offered by the new version of the best practice framework for companies and their IT departments? To read the white paper and get answers to these questions please fill the form on the right.